NFL's top five rivalries for the 2019 season: What's in the No. 1 spot? Published: Dec. 16, 2018 at 07:35 p.m. 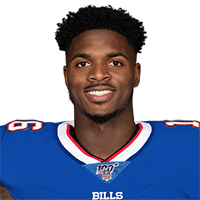 Published: Dec. 9, 2018 at 04:00 p.m.
Buffalo Bills wide receiver Robert Foster catches and runs for 38 yards. Published: Nov. 25, 2018 at 08:06 p.m.